Who is the fastest eater in Prince William County? 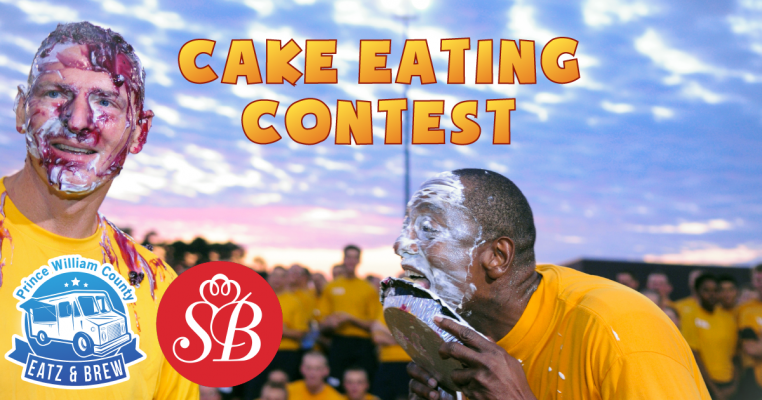 Find out at this years PWC Eatz & Brew Cake Eating Contest! Eight contestants, eight delicious cakes from Shilla Bakery, and 60 seconds to eat as much cake as humanly possible. For a complete list of rules see here. All contestants must be at least 18 years old. All contestants must sign a hold-harmless form. Where: Manassas Mall parking lot near Sudley Rd.